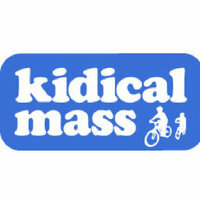 Don't miss this Saturday's Kidical Mass Ride-- a fun, free bike parade for kids of all ages! The Logan Square Kidical Mass begins gathering at 10:30am at the Palmer Square bunny park (3100 W. Palmer) and pedals off at 11am. Costumes, funny hats, music and all forms of merriment are encouraged. The organizers say Saturday's forecast is chilly, so bundle up! The proposed route is to a nearby cafe where parents can socialize and kids can be kids. 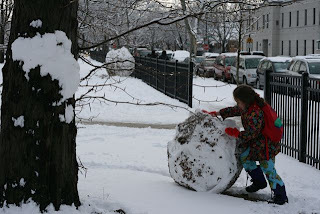 And with winter here, check out www.bikewinter.org for all season family cycling tips. 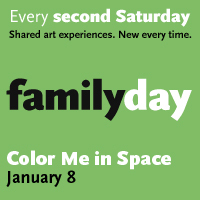 MCA Free Family Days Color Me In Space--It's the 2nd Saturday of the month and that means free, artsy fun. Maybe you're not up for a chilly morning bike ride, but you're up for some fun in a warm, colorful museum space. Don't hibernate--create. It's a win-win situation--one of our favorite bands in one of our favorite venues! I first introduced the kids to Queen two springs ago around St. Patrick's Day, when a number of people had broken out their bikes and were enjoying the spring like weather. I began belting out Bicycle Races and Du-Jay quizzically asked "WHAT are you singing, Mom?" I realized at ages 5 and 7, they still hadn't been properly introduced to Queen yet. We loaded Queen's Greatest Hits to the ipod and the rest is history. Two years later, and 4 more albums to the ipod, the kids have a good chunk of Freddy Mercury's life work memorized. They do a wicked duet on Bohemian Rhapsody on Guitar Hero. And they're more than jazzed to see The School of Rock Kids become one of their favs. The kids at School of Rock are another favorite of ours. 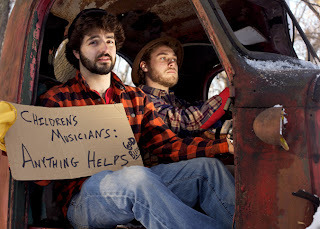 We've seen them perform at Kidzapalooza and at The Windy City Rollers, and these kids rock! Click HERE to see ChiIL Mama's coverage of The School of Rock rockin' the roller derby between bouts. 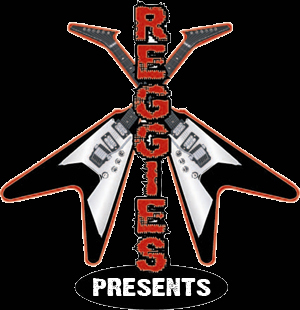 Come check 'em out this weekend at Reggie's at their two all ages afternoon shows. Swing by The Empty Bottle--another favorite venue for live music, for some unique artist made goodies. 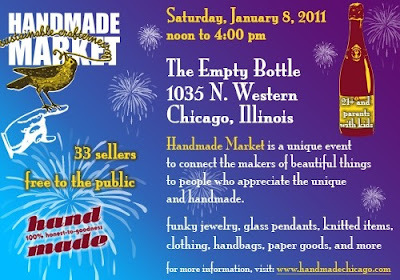 We've had great luck finding fabulous things at Handmade Market in the past. We're stoked to be going to The Chicago Wolves game Saturday night at Allstate Arena. As much as we love Chicago hockey, and ardently follow The Chicago Blackhawks, this will be our first Wolves game! They know how to do it up right in Rosemont. We won't just be treated to a pro hockey game, by 4 time league champions, but we'll also get in on a pre-game fun fest and fireworks and laser light show, too. You can even leave the game with a furry, little mascot in need of a home. At ChiIL Mama, we have 2 rescue dogs and are huge fans of adopting homeless shelter dogs rather than going through pet stores and risking puppy mill pets. The Wolves strive to provide their fans the best entertainment value in sports. 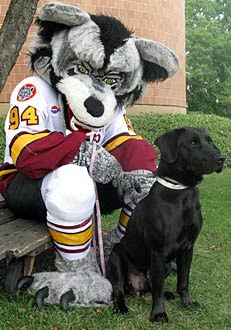 Check out The Chicago Wolves site HERE for this season's schedule and more. Can't make it to the game? Check 'em out on TV. The Chicago Wolves will return to network television during the 2010-11 season when the team airs 18 home games on My50 Chicago (WPWR). The other contests - home, away and playoffs - will continue to be broadcast live on Comcast Network 100. More than 800 dogs have been adopted as part of the Adopt-a-Dog program presented by Pedigree & Pet Supplies "Plus"
100% of all kids at Wolves games wear smiles! The 2011 Kindie Concert Season is off to a great start with some Minneapolis bluegrass from our neighbors to the north. 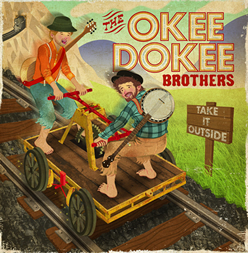 Check out award winning musicians, The Okee Dokee Brothers. Tickets are just $5. Their all ages show is at noon. Beat Kitchen and Subterranean have an excellent line up of kids show for winter and spring. Check out shows by ChiIL Mama's past Win A Disc Wednesday bands Little Miss Ann, The Boogers, Mr. Singer & The Sharp Cookies. Plus facepainting, crafts and more! *Subterranean--Little Miss Ann Band on Saturday, February 19th at 4pm. Check out Beat Kitchen on Facebook for updates and visit their website for tickets. "The No Pants Subway Ride is a global event started by Improv Everywhere in New York in 2002." It's fun to shake up people's routines and mess with their heads in a funny en mass prank. Come create some memories. Please confirm yourself on the event page so they know your coming! All the secret meeting times and place and details are there. At the meeting points, participants will be organized into groups and assigned a specific train car. Once everyone is divided up we will all head to nearby subway station. Do not talk to others once you enter the subway system.Pretend no one knows each other. Sit in the car as you normally would. Read a magazine or whatever you would normally do. Your team leader will have already divided you into smaller groups, assigning your group a specific stop where you will depants. Exit the train at your assigned stop and stand on the platform, pantless. You will wait on the platform for the next train to arrive. Stay in the exact same place on the platform so you enter the next train in the same car as you exited the last train. When you enter, act as you normally would. You do not know any of the other pantless riders. If questioned, tell folks that you “forgot to wear pants” and yes you are “a little cold.” Insist that it is a coincidence that others also forgot their pants. Be nice and friendly and normal. If you haven’t already, please take a moment to read about previous No Pants! Subway Rides. Please leave your cameras in your bags during the event and resist the temptation to snap photos with your iPhone, etc. while the event is happening. Take as many as you like before and after the event, but during the ride we really want people to enjoy the experience of participating rather than documenting. It detracts from the mission if everyone is taking photos of each other rather than keeping a straight face. Don’t worry, we have photographers assigned to every meeting point who will take great photos. Facets Children's Programs is starting 2011 off right with a great film series at the Peggy Notebaert Nature Museum. On selected Fridays, Saturdays, and Sundays from January through April, Facets will be offering screenings of short and feature-length films at the Peggy Notebaert Nature Museum in Lincoln Park (2430 North Cannon Drive). Admission to the museum is included with the screening, and most programs will be followed by interactive science-based demonstrations by Nature Museum staff. If you've been following ChiIL Mama a while, you'll know that our family has volunteered at Facets Multimedia for over 20 years and we've been volunteering at and covering the International Children's Film Festival for years as well. Click HERE for our behind the scenes look at the festival last fall. Check out The Windy City Rollers for Grrrl Powered family friendly fun. 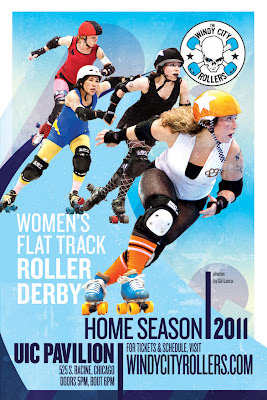 WCR HOME OPENER JANUARY 15! It's roller derby season again in Chicago! The Windy City Rollers open their 2011 home season on January 15 at UIC Pavilion! Our home season bouts for the 2011 season will be played as double headers. Each home team will play the other teams twice -- totalling 6 bouts -- working to earn a spot in the championship game for the Ivy King Cup. All four home teams are returning to the track with their eyes on the prize. Rookies no more, the Hell’s Belles return this season with the passionate unity of a team that was tried by fire. The Manic Attackers will be well defended by last season’s league rookie of the year, Bork Bork Bork, and also welcome fan favorite Ying O’Fire back to their ranks. Plagued late last season with injuries, the Double Crossers are back with a lean, mean squad of seasoned veterans including Georgia on Yer Behind, Julia Rosenwinkel and Blossom Bruiso. The reigning champions, The Fury, are back with most of last year’s hard-hitting squad with the highly intimidating Yvette Yourmaker rejoining the already fearsome blocking squad. ANTHEM: Our very own Head of Officiating, Unk! Tickets for the January 15th bout are available online through Ticketmaster, the UIC Pavilion box office or from any WCR skater. There’s still time for Season Tickets and Group Tickets. Both are available by contactinggroups@windycityrollers.com.